Includes: Urgent care and treatment services, intermediate care, cardiac assessment, renal services and day case surgery, palliative care, imaging and diagnostics, general outpatients, clinical investigations, children’s centre, women’s health unit, allied health services, GP out of hours, pharmacy, social services, medical records and mental health services. In August 2014 BPS were appointed to undertake a range of specialist electronic protection systems for this project which included Alarm Management System, Fire Alarm, Disabled Refuge Alarm, TCP/IP CCTV, Access Control, Panic Attack & Intruder Alarm Systems and TCP/IP & Analogue Intercoms. Building Protection Systems have been providing Integrated Fire & Security Services to the Western Health & Social Care Trust for many years. In particular at the Altnagelvin Hospital, Gransha Hospital, & South West Acute Hospital, Enniskillen. 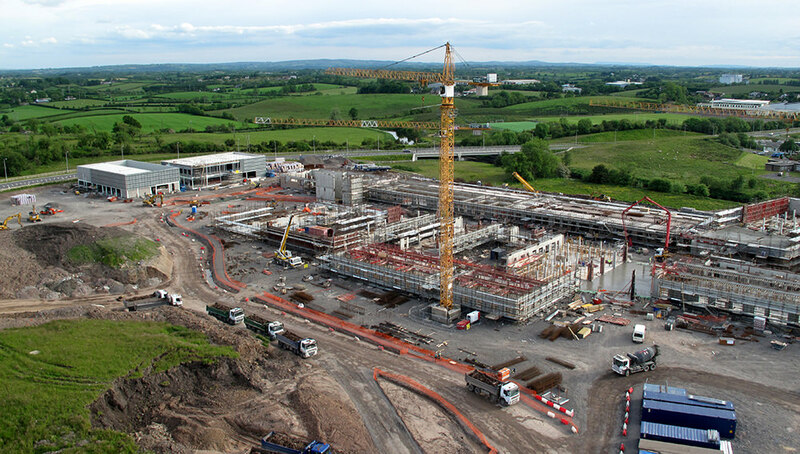 This £65M project, is a new build enhanced local hospital to serve the greater Omagh Area. The successful Main Contractor for the project, McLaughlin & Harvey appointed Dowds Group to undertake the Mechanical & Electrical Services. 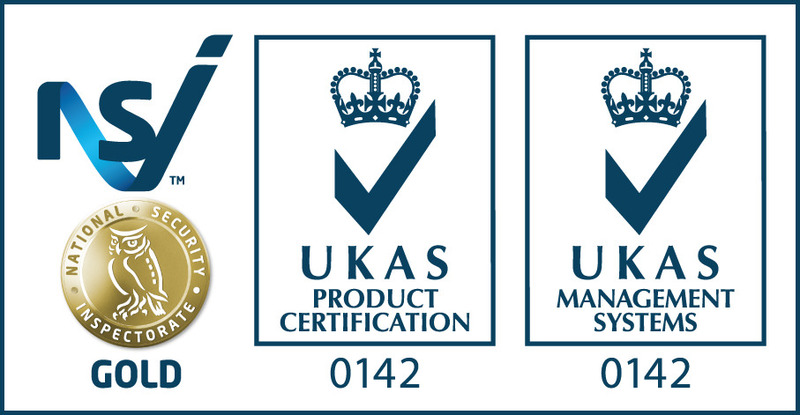 Dowds Group in turn appointed BPS to undertake the Fire & Security Specialist Installations. BPS & Dowds Group have already successfully completed a number of Major Health Projects including South West Acute Hospital, Enniskillen; Altnagelvin Hospital South Block (Phase 3.2a & 3.2b); Ulster Hospital Renal, Maternity, Terraced Car Park, & Critical Care Units. Dowds Group have also appointed BPS to undertake the F&S Specialist services for another Western Health Trust Project, the New £65M Cancer Centre & Radiotherapy Unit at Altnagelvin Hospital. Progress is well advanced on site on the Phase A works. BPS are due to commence new-build installation works imminently. The Fire Detection & Alarm System is a Site-Wide networked multi-panel arrangement, complying with BS5839-1 Type ‘L1’ & HTM 0503, to ensure that Cause & Effect Scenarios can be programmed to facilitate both this building and the site-wide pre-determined Hospital Evacuation Plan. The system reports to a Trust-Wide Alarm Management System. The Intruder/Panic Alarm is being installed as a Grade 3 system within Controlled Drug Areas using antimask detectors and Grade 3 signalling due to the sensitivity surrounding the storage of controlled drugs. Other areas report on a Grade 2 basis to a managed site-wide response plan. Access Control is being installed to over 200 doors and also Car Park Barriers, that will provide security for sensitive and staff only areas. Each staff member will carry a site coded card with unique identification recorded in the system database. Times of access can be determined for each door protected, with the ability to produce reports of user activity and a live review of staff members in the building. The system will be fully networked to the Site-Wide & Trust -Wide Infrastructure. The CCTV system requirement was to provide high quality 720p & 1080p images from cameras internally & externally recorded by a series of local network video recorders, integrated onto the site-wide & trust -wide network. BPS have already provided TCP/IP CCTV solutions to the Altnagelvin Hospital Site as part of the South Block (Phase 3.2a & 3.2b), and Multi-Storey Car Park. It is envisaged that Altnagelvin Hospital will become the central hub for Security Control for the Complete Trust Area. To this end, a new Security Control Centre is being designed into the future Altnagelvin Hospital, Phase B North Block Project to allow migration of all analogue & TCP/IP CCTV services into one central ‘Command Centre’. BPS are currently assisting in the design requirements with M&E Consulting Engineers, ARUP. All Fire & Security Services are being integrated together on this site in preparation for the potential future migration.